It’s always fun when you can have another first in life, and Friday night I had a pretty exciting one–it was the first time I went to a professional baseball game with a press pass. With the assistance of the almighty Joe Hamrahi and my new friends at the Trenton Thunder, I had a perfect seat right behind home plate, which allowed me to do fun things like take some video (which I’ve attached at the end of the post) from a nice angle. And fortunately for me, I got to see a number of players who matter for dynasty leagues up close and personally. So, while I’m not a scout, the more baseball I watch, the more little things I pick up. And the more little things I pick up, the better informed I become about the game as a whole. It’s the same as with anything else in life–repetition breeds knowledge. So with the opportunity to see Xander Bogaerts, Matt Barnes, Tyler Austin, Slade Heathcott and Nik Turley, I arrived at the ballpark excited for what would excite me. And as baseball would have it, the players who would excite me most were not even on that brief list. I’m sure you’re all pretty familiar with Austin, as I bumped him pretty high on my Top 150 prospects list this off-season (#44 to be exact). I saw some of that on display Friday night, as he showed a good eye at the plate (on display in the video below) and a nice setup at the plate. He didn’t really rope any balls during the game, but he looked the part. Austin has gotten off to a bit of a slow start this season, hitting .256 with 1 HR and 1 SB, but I still think this is a potential .280 hitter at the major league level who can provide 15-20 HR pop and steal double-digit bases. In other words, he’s not a future superstar, but more of a productive fantasy player. Once it was noticed that Bogaerts was not going to play, I figured Barnes would be the most impressive player that I saw on the field–however, that was not meant to be. He started out looking strong, as he struck out three batters in the first inning (with a triple and a walk mixed in), but as the game went on, Barnes gave up more and more hard contact. The fastball was sharp, and sat at 91-93 (touched 94) when I could peek in on the radar gun in the row in front of us, and he threw a handful of breaking balls that looked like they belonged in the major leagues. Unfortunately, he just left too many balls up in the zone for his own good. With that said, the one thing which was very noticeable about Barnes was his confidence. He wasn’t rattled one iota by the Thunder hitting him around pretty hard, and when he was finally replaced on the mound, he gave a John Wayne style stroll back to the dugout that seemed to last for two minutes. The most impressive hitter in either uniform that night was Murphy, a recently converted catcher who is in the early stages of having his best offensive season. Through 17 games, he is hitting .308 with 4 HR and 16 RBI (along with a very impressive 11-12 K/BB rate) and he showed why in the game. Murphy led the charge against Matt Barnes, barreling two doubles off him, including one which almost left the yard. While he was not a hugely popular name in dynasty leagues coming into the season, this has the makings of a season worth watching–especially given the fact that he plays such a premium position. Heathcott had a pretty quiet game until he stepped up to the plate in the fifth inning and hammered a ball off Matt Barnes to dead center field. Shannon Wilkerson ended up making a fantastic play on it right in front of the batter’s eye, but it was an impressive drive in what was otherwise a pretty non-impressive day in the box score for Heathcott–including getting caught stealing by this next player. This isn’t in here for the fantasy angle, but Vazquez was very impressive behind the plate throughout the entire game. He not only caught the only two players who tried to steal against him (including the speedy Heathcott), but he very nearly backpicked Jose Pirela off third base. You can tell how close it was on the video below (it happened on the first pitch). Vazquez isn’t a name you need to know for dynasty leagues at this point. 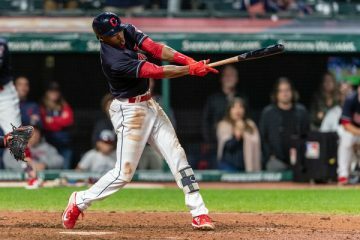 However, despite all of the above, the biggest surprise and highlight of the night was seeing Jose Ramirez tear it up for the last four innings of the game. When Nik Turley (who pitched OK) was removed after five innings, I will admit that I wasn’t paying super close attention to who was coming in next. After noticing some gas (and peeking at the radar gun and seeing 95), I consulted my program to see who this guy was. When I saw it was Ramirez, who was making his Double-A debut, I perked up. He took a few batters to settle down, but the last nine hitters to step into the plate against Ramirez were all sent back to the visiting dugout disappointed, mustering just four balls in play. His final line was 4 IP, 2 H, 0 R, 1 BB and 6 K, and his first minor league save. Now this is an arm to potentially get excited about, even though he certainly needs work on commanding his off-speed pitches. For at least one night, Ramirez was the more impressive pitcher than Barnes, and to be honest, it wasn’t even all that close. If Ramirez is unowned in your dynasty league which rosters at least 200-250 minor leaguers, I’d think about claiming him now before he starts to get more hype. And for those of you who have waited patiently, here is a full video of Tyler Austin vs Matt Barnes in the first inning of Friday night’s game. Enjoy! Very off topic but i’d love to get your opinion on Bundy. Somebody in my league (dynasty) has him on the block and im wondering how much, if at all, his current injury situation affects his value. Thanks again for the great work. 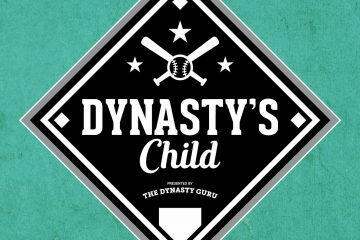 I’m actually writing up Bundy for my Dynasty Dynamics post tomorrow, so if you can just wait a little longer you will see a much more detailed analysis of that.